Medical errors are responsible for the deaths of about 98,000 persons each year, according to a study conducted by the Institute of Medicine. There has been a lot of false information in our public discourse about the harmful effects of medical malpractice lawsuits. Many are written off as “frivolous lawsuits,” or blamed for the escalating cost of health care. The truth, however, is quite different. Lawyers are reluctant to file medical malpractice cases unless they have merit, based on the fact that they cost thousands of dollars and physicians have a high success rate. Further, medical malpractice lawsuits only account for less than 1% of all healthcare related costs in the United States. In any case, when medical malpractice caused by doctor or hospital negligence occurs to you or a loved one, the result can be significant pain and suffering, lost income, and medical expenses. In that case, you may need to pursue a medical malpractice lawsuit in order to get the compensation you deserve and also to help prevent that same error from happening to someone else. We have also represented clients in other types of medical malpractice cases that arise from negligent care provided by doctors, nurses, and hospitals. We have represented many clients in medical malpractice cases and we understand the procedures involved for prosecuting these actions, the defenses often raised, and how to work with expert witnesses. 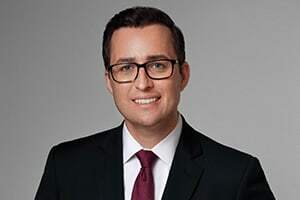 In fact, Eric Dinnocenzo has authored an article in the New York State Bar Association Journal about using learned treatises and other texts to cross-examine expert witnesses. We also exhibit compassion towards our clients who have often undergone much hardship. If you have a medical malpractice claim in New York or New Jersey, you can contact medical malpractice lawyer Eric Dinnocenzo at (212) 933-1675 for a free consultation.